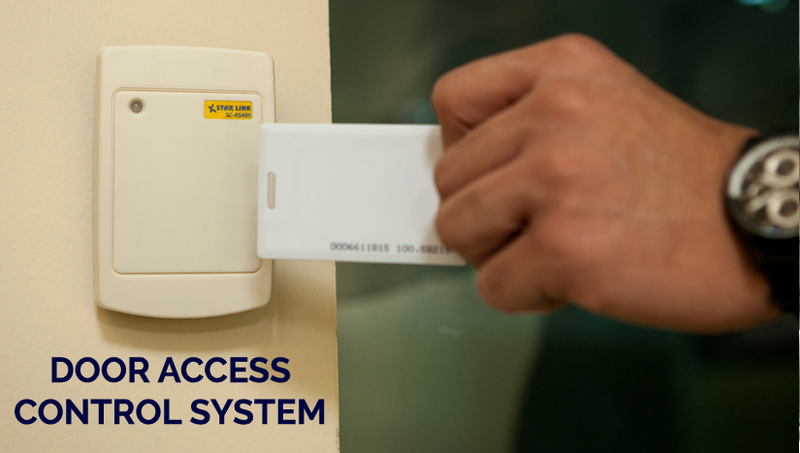 Door access control system gives approved people secure access to different parts of your business while keeping unapproved individuals out. They can extend from electronic keypads that protected a solitary way to huge organized frameworks for different structures. Access Systems extraordinarily simplifies administration of your office: no compelling reason to change lost keys, chase down old keys from fired representatives, or worry about access to restricted area. Before installing the door security system, it is very important to determine the purpose and role of the access control system. The very basic purpose of a security system is to keep anyone without the authorization out of the premises. Firstly you need to determine the level and reach of security you require for your company. Star Link India is one of the major manufacturers of highly advanced and sophisticated door control and door access control systems. With biometric access control, it is extremely easy to control access for each and every user with tracking records door wise, time wise and Anti-pass back enabled for certain areas. Small readers are fitted in each of the doors with the EM locks. The main panel software by Star Link India can be used to control 8 doors and manage access for up to 50,000 employees. The nature of security can be modified by using Card access control system or biometric access control to prepare an automated attendance report with the entry feeds of the doors. The 8 Door Controller by Star Link India is a high-end protection system which uses hi-tech software and hardware to ensure the highest level of security and data maintenance. It uses a 32 bit RISC micro-controller with 2 MB flash which can store around 62,000 records. The door access control system can manage the controls of 8 doors at the same time. It offers a lock to controller distance of up to 60 meters along with piezo-electric buzzer for entry indication. It has a memory card support up to 4 GB with card enrollment of around 50,000 records. The controller has various options of different time and access group options to restrict entry depending on time and area wise. It weighs 1.1kg with dimensions 21cm*14cm*5cm.